Super simple thumb screw upgrade. David, the owner of BigFoot Products is always coming up with new ideas for scroll saw enthusiasts. 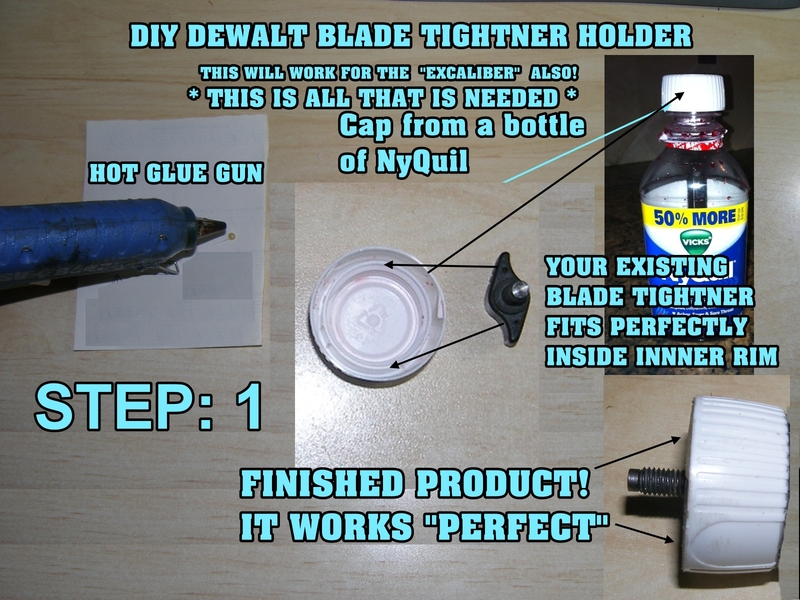 Yesterday he sent me an email showing a cheap and easy way to make a plastic knob for the DeWalt style blade clamp thumbscrew. 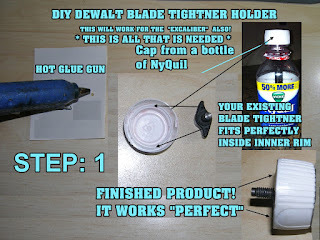 This one will work on the upper clamp but you will probably want to find a smaller cap for the bottom clamp. You will have to modify the thumbscrew for it to fit in a smaller clamp. You can order a new set of thumb screws from DeWalt at this link. Item 47. You need to order 2. They do not come in a set. 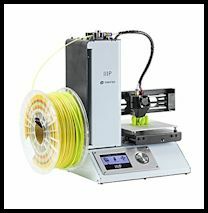 Last week I mentions that I planed to purchase the Monoprice Select Mini 3D printer. I received a bunch of email asking questions. This is an entry level printer with one of the lowest prices around. $199. When I first saw the machine I figured it was junk because the price was so low. I started reading some reviews and people were saying good things about the Select Mini. They all said it was not perfect but for the price it was quite the deal. I decided to give it a try. I ordered one from Amazon. I am a Prime member so I got it with free shipping in two days. Have I ever said how much I love Amazon Prime. I won't go into detail here but I have to say this thing has worked fantastic. Right out of the box I was printing with good quality the same day. 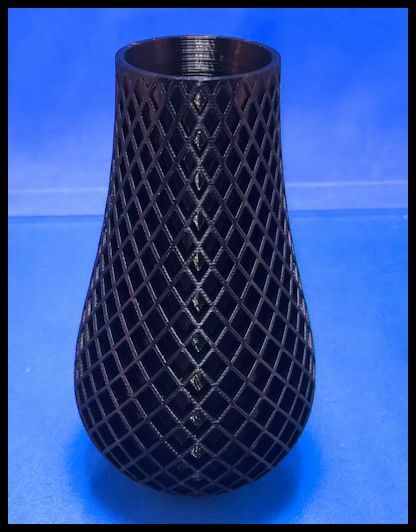 The picture below was a small vase I printed to give you an example of what it can do. These printers are for one off parts and prototyping. They are too slow for production work. Don't get one thinking you can mass produce parts. 3D printing is not for everyone. I highly recommend that you have above average computer skills. 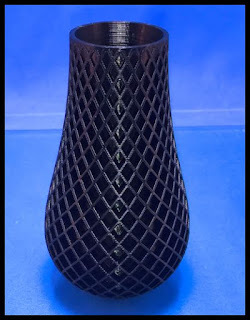 The printer it's self is easy to use but designing the 3d patterns is more of a challenge. I am in the process of learning Autodesk Fusion 360 right now. Many of you already use Google Sketchup. You can use Sketchup for the design but you need an .STL export extension. I am happy to answer any questions you may have about this printer. I am still learning but have put in hours of research and am starting to be more comfortable with the technology. 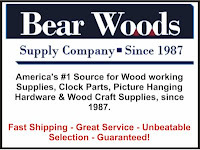 Check out Bear Woods for all you craft supply needs. Your source for scroll saw ready boards. This is the 3D printer I use. I love it so far but do your homework before you buy any 3D printer. The technology is still in it's infancy and takes some skill to get good results. If you think you want to experiment with 3D printers this one has worked well for me and the price is hard to beat.